Clay in hand, ceramic artist Gill Isaac Kaufman leaned low over a whirring, potter’s wheel set up in the airy studio of his Goleta-based business, Happy Green Merchant. Fast but driven, he deftly created a clay coffee cup in a matter of minutes. “That’s a good-looking cup,” he said, sliding a long wire under the wide base of the vessel to move it from the wheel on to a wooden board to dry. It’s easy to see his passion for it; as soon as the clay is in his hands, he begins calmly and expertly shaping it into art. 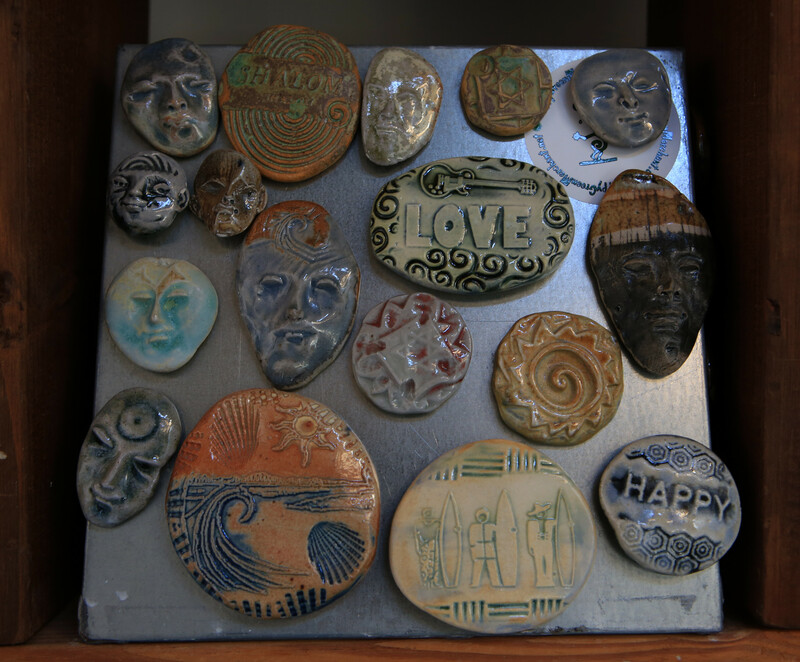 He creates cups, bowls, vases, sculptures, and—his signature work—custom magnets. Each piece is created, fired, glazed and refired using a unique methodology that is all his own. Happy Green Merchant represents an intersection of Kaufman’s passion for ceramics and his interest in the business of art. His most popular products are custom ceramic magnets—each featuring a different facet of the Santa Barbara, Calif. lifestyle. Giving back is also an integral mission for Kaufman and Happy Green Merchant. Taking a cue from the Torah, Kaufman donates 10 percent of his earnings to local charities. He also plans to partner with charities for fundraising events, educational seminars and other services to help share his success with his community.